In a quest to capture market share from Apple Inc.'s iPad., Google Inc., is now trying trying to get into the tablet computers market. Getting into the tablet market, Google also initiating efforts to turn around sluggish sales of tablet computers powered by Google's Android software. Google is seeking to increase adoption of its Android software so that its search, maps and other services—which generate the vast majority of its mobile revenue through the sale of ads—become mainstays in the mobile-device world. While that revenue is small compared to PC-based ad sales, it's a fast-growing category for Google, and tablets can command better ad prices than smartphones. Google Chief Executive Larry Page said last fall the company was on pace to generate more than $2.5 billion in revenue from mobile devices, largely through selling online ads on smartphones. Google will sell co-branded tablets directly to consumers through an online store like rivals Apple and Amazon.com Inc.
Like the Nexus One, some future Android tablets are expected to be co-branded with Google's name. The company is expected to sell devices from a variety of manufacturers. Google is expected to release the next version of its Android software, called Jelly Bean, in the middle of this year. Details of the project and when Google plans to unveil the online store is still unknown. 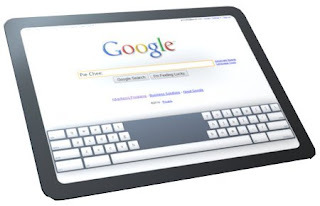 Google will lend huge marketing support to the online tablet store. Since the Nexus One experiment, Google has honed its mass-marketing skills, spending heavily on TV ads and other marketing to promote services other than its Web-search engine. Google went this route with Android-powered smartphones in 2010 when it offered a device called the Nexus made by HTC Corp. But the effort was scrapped after several months amid better sales of other Android-powered smartphones. While some wireless industry executives said Google's Nexus One smartphone effort was a failure, Google Android chief Andy Rubin said previously that the company sold more than 100,000 of these phones in three months and "broke even" on its investment. Google stopped the effort because other new Android-powered phones were on par with or better than the Nexus One. Google also couldn't figure out how to sell the Nexus One online on a global scale, and its resources would be wasted in trying to line up wireless carriers in foreign countries to sell plans for the phone. The first tablet running Android software optimized for tablets, Motorola's Xoom, went on sale in February 2011, nearly 11 months after the first iPad arrived. Motorola has said it sold about one million Xoom tablets in 2011, below its expectations. Several other Android-powered tablets, including two versions of Dell Inc.'s Streak tablets, have been discontinued. Android-based tablets made by Samsung and others have been slow sellers by comparison. Last fall research firm Gartner estimated Apple would capture 73% of the tablet market versus 17% for Android. Google has taken other steps to be a consumer electronics brand. The company is directly overseeing the manufacturing of a Google-branded music and video streaming device, to be used in people's homes, which it is expected to sell to consumers later this year. This time, Google won't have to worry about pairing with wireless carriers because tablets are primarily used with WiFi connections in people's homes. Some U.S. retailers are anxious for an Apple rival to emerge in the market. Some retailers that sell iPads have chafed under Apple's rules that require stores to promote its products more prominently, these people said, and the retailers generate less revenue per sale of Apple products versus other electronic devices.